Because of our temperate climate here in the Southeast we are fortunate to be able to garden almost year round. 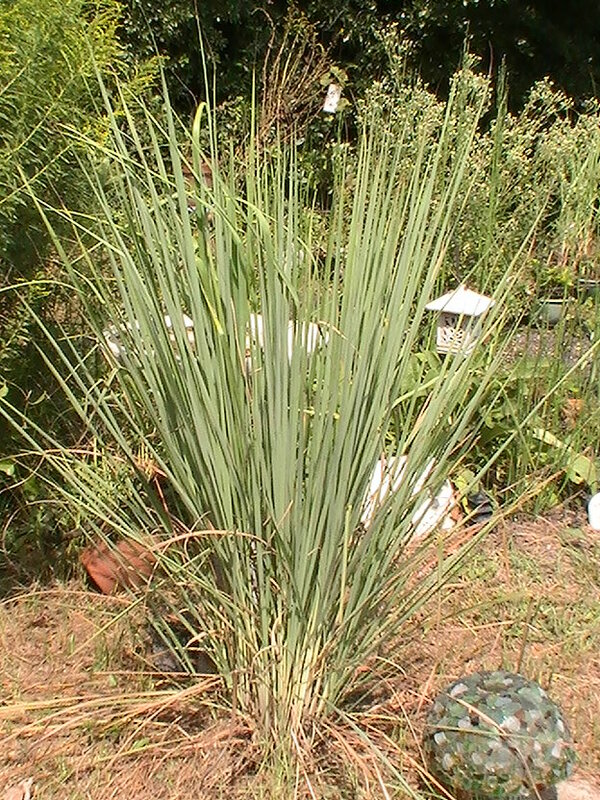 One plant that grows extremely well in the South is Lemongrass (Cymbopogon citrates). This hardy perennial grass thrives on neglect yet adds beauty and contrast to any garden. Known mostly as a culinary herb in Asian cooking, Lemongrass is also a wonderful addition to any medicinal herb garden. If you have ever had the opportunity to smell Lemongrass you will have noticed that it is quite aromatic. Aromatic herbs get their scent from their high content of volatile oils. Lemongrass essential oil is derived from the plant by distillation and is used extensively in Aromatherapy. Aromatic herbs like Lemongrass are warming and dispersive which means they spread out through the system, warming things up and getting things moving. Because aromatic herbs get things moving they are considered stimulating. If you think about an area that has been bound up and where very little is moving (stagnation) you can imagine that area will feel tense. A good example would be in the first stages of a cold when the body is tense. However, once the tension is dispelled or dispersed the area once again feels relaxed. Therefore, aromatic herbs are also considered to be relaxing. When one is suffering with accumulated gas aromatic herbs like Lemongrass help dispel the gas and relax the area; this action which occurs is referred to as Carminative. Aromatic herbs also help to reduce spasms or are “antispasmodic”. Aromatic herbs are both antiseptic and antimicrobial (inhibits the growth of organisms such as bacteria and viruses). Because aromatics contain volatile oils which irritate tissues the body wants to flush them out to prevent further irritation. This flushing of oils occurs through urination or exhalation making aromatic herbs like Lemongrass extremely beneficial for conditions associated with the respiratory or urinary systems. Aromatics also tend to draw energy upward and outward which would also explain their affinity for the respiratory system. Place the herbs into cool water and bring to a boil. Turn down the heat and simmer the herbs with the lid on for approximately 20 minutes or until the liquid is reduced by half. Strain off herbs. Experiment with other herbs and spices such as mint, basil and allspice for variations. Add a smidge of honey, sit back and enjoy. Note: If you find this tea a bit drying you can add moistening herbs such as Licorice or Marshmallow Root. Cooking: Lemongrass combines well with peaches, pears and other fruits, ginger, chillies, cucumber, cinnamon, other aromatic herbs and coconut milk. For those of you in the Southeast perhaps consider growing yourself some Lemongrass. Although we don’t hear or see much on the medicinal benefits of Lemongrass, it is certainly a wonderful addition to your medicine cabinet and herb garden. Disclaimer: In order to continue posting quality content I must rely on your support. Some of the links found in this post contain affiliate links which I do receive a small compensation for when purchased through my website. Despite the bad press that coconut oil has gotten over the years it turns out that it has numerous health benefits. Coconut oil is a saturated fat. People have been indoctrinated to believe that saturated fats are bad for us and will lead to heart disease. However, when various groups were studied who had a traditional diet including unprocessed coconut oil they found that vascular diseases which were associated with hydrogenated oils did not exist with the saturated fat from coconut oil. 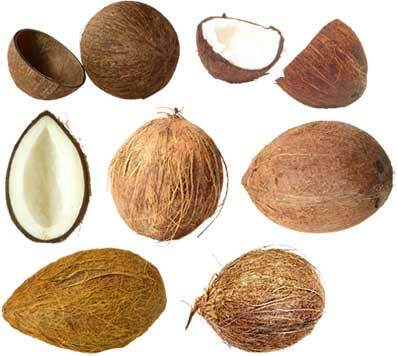 Coconut oil contains medium-chain triglycerides which the body uses as an immediate source of fuel. This consumption increases metabolism and helps you to lose weight. Fat also helps you feel fuller and keeps you satiated longer so you are less hungry. As I mentioned before, Coconut oil contains high levels of medium-chain fatty acids (known as MCFA). These fatty acids are the same substances produced by mothers milk which helps protect infants from infectious illnesses. These medium-chain fatty acids have strong anti-viral, anti-bacterial and anti-protozoal properties. The list of benefits of coconut oil go on and on. What I really love about coconut oil is that if you are cooking with it and get some on your hands you can use that excess as a skin moisturizer. That’s right, just rub it right it in to your hands and your hands will be nice and smooth. Coconut oil can be used as a base for lotions or salves and can be used in lieu of conventional cooking oils. These are just some of the reasons I’m “Cuckoo for Coconut”! (3) Biomaterials. 2009 Oct;30(30):6035-40. Epub 2009 Aug 8. The antimicrobial activity of liposomal lauric acids against Propionibacterium acnes. Yang D, Pornpattananangkul D, Nakatsuji T, Chan M, Carson D, Huang CM, Zhang L. Department of Nanoengineering, University of California, San Diego, La Jolla, CA 92093, USA. (5) J Nutr. 2009 Mar;139(3):603-10. Epub 2009 Jan 6. Partial replacement of dietary (n-6) fatty acids with medium-chain triglycerides decreases the incidence of spontaneous colitis in interleukin-10-deficient mice. Mañé J, Pedrosa E, Lorén V, Ojanguren I, Fluvià L, Cabré E, Rogler G, Gassull MA. Health Sciences Research Institute, University Hospital Germans Trias i Pujol, 08916 Badalona, Spain. Seems like everybody I talk to is frantic about this whole H1N1 Flu. A common stomach virus has everyone rushing off to the doctors office to determine whether it’s the flu or not. Instead of reiterating all the information that is already out there on the web I thought I would direct readers to the most credible information I have found. Swine Flu Vaccinations and Antiviral Drugs: A Matter of Faith – This is a post by Michael Tierra which discusses the myths associated with the H1N1 Flu and antivirals. See also the videos I posted earlier from herbalist Paul Bergner. Here is a list of herbs used for cold and flu compiled by herbalist Paul Bergner. This article is written by herbalist Kiva Rose and discusses natural remedies for prevention and also how to avoid the cytokine storm which may come from over stimulation of the immune system. 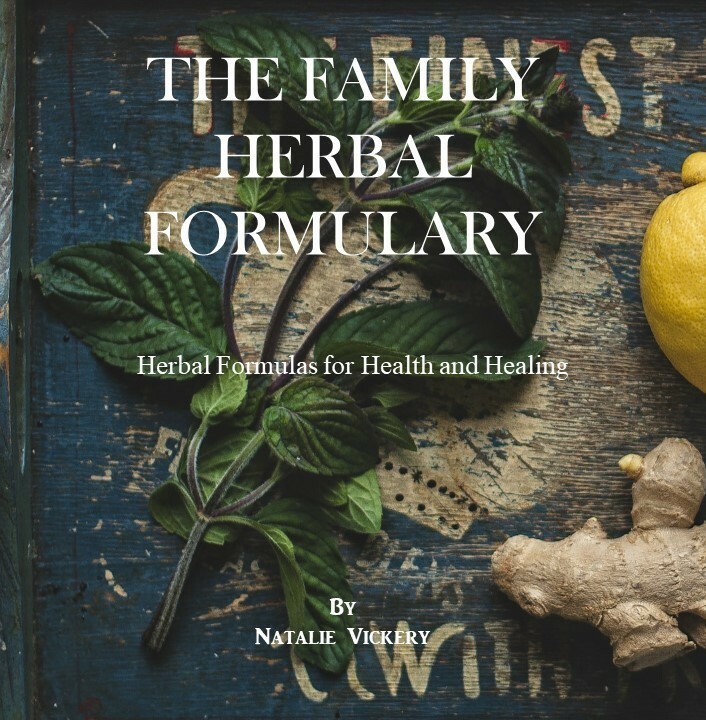 Here is a fabulous article in the Journal of Medical Herbalism which addresses the issues associated with the 1918 pandemic and herbs and supplements to help prevent H1N1. I hope that by reading some of these articles it will help people to help themselves by practicing prevention. If for some reason you do get the flu or know someone with the flu…don’t panic. 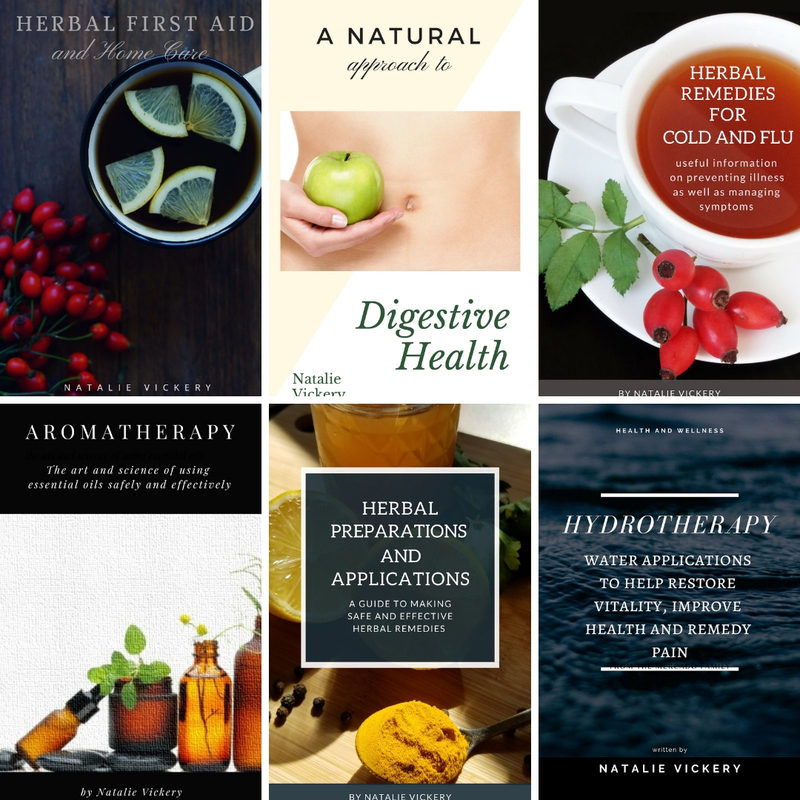 There are a plethora of herbs which can aid the body even if the flu does set in.